Risen Energy announced recently that following the acquisition in February of a 100% stake in the Yarranlea solar farm project located 50km southwest of Toowoomba, in Australia’s Queensland state, construction of the project officially started this month. 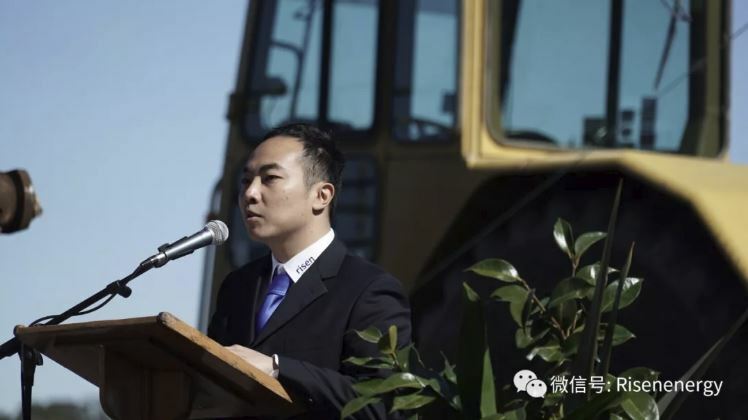 Queensland Parliament member Patrick Weir, Toowoomba Regional Council mayor Paul Antonio, Risen Energy Australia project development and investment director John Zhong, and other guests took part in the ground-breaking ceremony. The Yarranlea project covers an area of some 250 hectares. In addition to the engineering, procure-ment and construction (EPC), delivery of modules and the follow-up adjustment and calibration upon completion of the project, Risen Energy will own and operate the completed facility. Construction is scheduled to be completed at the earliest by the end of March of next year. Upon completion, the fa-cility will be connected to the grid under the management of the National Electricity Market and provide clean electricity to Toowoomba and Darling Downs, with an average annual power capacity projected to reach 264GWh after being put into operation. In terms of energy saving and carbon reduction, the projects will reduce CO2 use by 124,000 metric tonnes, resulting in significant benefits for both envi-ronmental protection and economic development. Thanks to a generous subsidy plan, high electricity prices and soon-to-be-expired feed-in-tariff (FiT) subsidies, Australia has become the world’s largest market of energy storage for home use, with mar-ket size tripling last year. Increasingly, non-Australian manufacturers and developers are targeting the market by speeding up their efforts in the country, including Chinese leader Risen Energy.